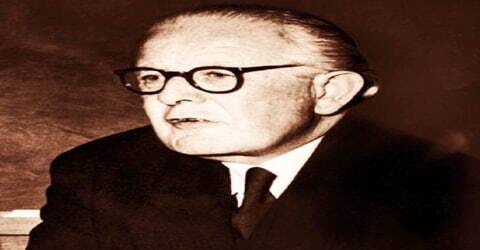 Jean Piaget – Swiss psychologist. 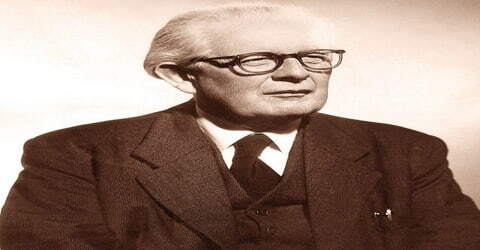 A Swiss psychologist who was the first to make a systematic study of the acquisition of understanding in children, Jean Piaget was born in 1896 in Neuchâtel, in the Francophone region of Switzerland. He is thought by many to have been the major figure in 20th-century developmental psychology. Piaget’s theory of cognitive development and epistemological view are together called “genetic epistemology”. Piaget identified his field of study as ‘genetic epistemology’, a theory which combines cognitive development with an epistemological view. Epistemology is a branch of philosophy that deals with the nature, origin, extent, and limits of human knowledge. What Piaget studied was the impact of genetics on the epistemological process. An intelligent child with a curious mind, Jean Piaget’s inclination towards scientific research was evident from his childhood when he began researching on an albino sparrow when he was just 11 years old. His interests, later on, were directed at psychoanalysis and he assisted Alfred Binet, the developer of Binet intelligence tests in marking the tests. During this time he became interested in the process of cognitive development in young children which differed considerably from the cognitive processes of older children and adults, and this motivated him to study the development of thinking processes in children. He considered education as a very important tool of imparting knowledge and believed that only education had the power of saving future societies from possible collapse. Piaget founded the International Center for Genetic Epistemology in Geneva and served as its director till his death. The number of collaborations that its founding made possible, and their impact, ultimately led to the Center being referred to in the scholarly literature as “Piaget’s factory”. According to Ernst von Glasersfeld, Jean Piaget was “the great pioneer of the constructivist theory of knowing.” However, his ideas did not become widely popularized until the 1960s. This then led to the emergence of the study of development as a major sub-discipline in psychology. By the end of the 20th century, Piaget was second only to B. F. Skinner as the most cited psychologist of that era. 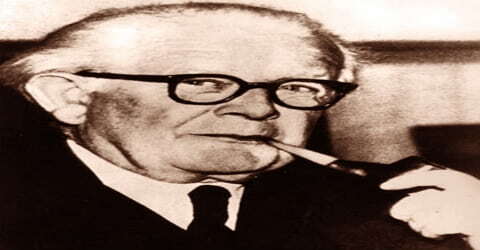 Jean Piaget, in full Jean William Fritz Piaget, was born on 9 August 1896 in Neuchâtel, Switzerland as the eldest son of Arthur Piaget, a professor of medieval literature and Rebecca Jackson. His father was Swiss while his mother was French. Piaget was a precocious child who developed an interest in biology and the natural world. His early interest in zoology earned him a reputation among those in the field after he had published several articles on mollusks by the age of 15. When he was 15, his former nanny wrote to his parents to apologize for having once lied to them about fighting off a would-be kidnapper from baby Jean’s pram. There never was a kidnapper. Piaget became fascinated that he had somehow formed a memory of this kidnapping incident, a memory that endured even after he understood it to be false. Piaget received education in natural sciences and philosophy before becoming a psychologist. At the University of Neuchâtel, Piaget studied zoology and philosophy, receiving his doctorate in the former in 1918. Soon afterward, however, he became interested in psychology, combining his biological training with his interest in epistemology. He first went to Zürich, where he studied under Carl Jung and Eugen Bleuler, and he then began two years of study at the Sorbonne in Paris in 1919. In 1923, Jean Piaget married Valentine Châtenay (7 January 1899 – 3 July 1983) the couple had three children, whom Piaget studied from infancy. Piaget used this research as the foundation of his work on studying cognitive development in children. In Paris Jean Piaget devised and administered reading tests to schoolchildren and became interested in the types of errors they made, leading him to explore the reasoning process in these young children. By 1921 he had begun to publish his findings; the same year brought him back to Switzerland, where he was appointed a director of the Institut J.J. Rousseau in Geneva. At that time Edouard Claparede was the director of the Institute and Piaget was familiar with his ideas on psychoanalysis. During the 1920s, Jean Piaget became increasingly interested in the psychology of young children. He investigated the hidden side of children’s minds. Piaget proposed that children moved from a position of egocentrism to sociocentrism. For this explanation, he combined the use of psychological and clinical methods to create what he called a semi-clinical interview. He began the interview by asking children standardized questions and depending on how they answered, he would ask them a series of nonstandard questions. Piaget was looking for what he called “spontaneous conviction” so he often asked questions the children neither expected nor anticipated. In his studies, he noticed there was a gradual progression from intuitive to scientific and socially acceptable responses. Piaget theorized children did this because of the social interaction and the challenge to younger children’s ideas by the ideas of those children who were more advanced. This work was used by Elton Mayo as the basis for the famous Hawthorne Experiments. For Piaget, it also led to an honorary doctorate from Harvard in 1936. In 1925-29 Piaget was a professor at the University of Neuchâtel, and in 1929 he joined the faculty of the University of Geneva as professor of child psychology, remaining there until his death. In 1955 Piaget established the International Centre of Genetic Epistemology at Geneva and became its director. His interests included scientific thought, sociology, and experimental psychology. In more than 50 books and monographs over his long career, Piaget continued to develop the theme he had first discovered in Paris, that the mind of the child evolves through a series of set stages to adulthood. Piaget became the Director of the International Bureau of Education (IBE) in 1929 and held this position till 1968. He drafted the annual ‘Director’s Speech’ for the IBE Council each year and also for the International Conference on Public Education. Every year, he drafted his “Director’s Speeches” for the IBE Council and for the International Conference on Public Education in which he explicitly addressed his educational credo. In 1954, Piaget was elected the president of the International Union of Scientific Psychology and held this position till 1957. He also served as the director of the International Centre for Genetic Epistemology in Geneva from 1955 till 1980. Piaget called himself a genetic epistemologist and propounded a theory of cognitive development. He gave four stages of cognitive processes in children which he had developed through years of research and by studying the cognitive development of his own children. Piaget defined four stages of development in children: the sensorimotor stage, the preoperational stage, the concrete operational stage, and the formal operation stage. These stages were classified according to the abilities of the children based upon their age groups. Piaget described the child during the first two years of life as being in a sensorimotor stage, chiefly concerned with mastering his own innate physical reflexes and extending them into pleasurable or interesting actions. During the same period, the child first becomes aware of himself as a separate physical entity and then realizes that the objects around him also have a separate and permanent existence. In the second, or preoperational, stage, roughly from age two to age six or seven, the child learns to manipulate his environment symbolically through inner representations, or thoughts, about the external world. During this stage, he learns to represent objects by words and to manipulate the words mentally, just as he earlier manipulated the physical objects themselves. In the third, or concrete operational, stage, from age 7 to age 11 or 12, occur the beginning of logic in the child’s thought processes and the beginning of the classification of objects by their similarities and differences. During this period the child also begins to grasp concepts of time and number. The fourth stage, the period of formal operations, begins at age 12 and extends into adulthood. It is characterized by an orderliness of thinking and a mastery of logical thought, allowing a more flexible kind of mental experimentation. The child learns in this final stage to manipulate abstract ideas, make hypotheses, and see the implications of his own thinking and that of others. Having taught at the University of Geneva and at the University of Paris, in 1964, Piaget was invited to serve as chief consultant at two conferences at Cornell University (March 11-13) and University of California, Berkeley (March 16-18). The conferences addressed the relationship of cognitive studies and curriculum development and strived to conceive implications of recent investigations of children’s cognitive development for curricula. According to Jean Piaget, genetic epistemology attempts to “explain knowledge, and in particular scientific knowledge, on the basis of its history, its sociogenesis, and especially the psychological origins of the notions and operations upon which it is based”. Piaget believed he could test epistemological questions by studying the development of thought and action in children. As a result, Piaget created a field known as genetic epistemology with its own methods and problems. He defined this field as the study of child development as a means of answering epistemological questions. Piaget published several influential books and papers on psychology related to the theory of cognitive development that continue to influence the works of psychologists till date. He led an active life till his death and was the Emeritus Professor at the University of Geneva from 1971 till 1980. In his Biology and Knowledge (1967+ / French 1965), Piaget tentatively hinted at possible physical embodiments for his abstract schema entities. At the time, there was much talk and research about RNA as such an agent of learning, and Piaget considered some of the evidence. However, Piaget did not offer any firm conclusions and confessed that this was beyond his area of expertise. Jean Piaget also had a considerable effect in the field of computer science and artificial intelligence. Seymour Papert used Piaget’s work while developing the Logo programming language. Alan Kay used Piaget’s theories as the basis for the Dynabook programming system concept, which was first discussed within the confines of the Xerox Palo Alto Research Center (Xerox PARC). These discussions led to the development of the Alto prototype, which explored for the first time all the elements of the graphical user interface (GUI), and influenced the creation of user interfaces in the 1980s and beyond. 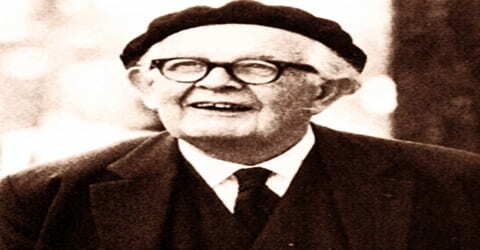 Jean Piaget was awarded the Erasmus Prize in 1972 by the Praemium Erasmianum Foundation for his contributions to European culture, society, and social science. 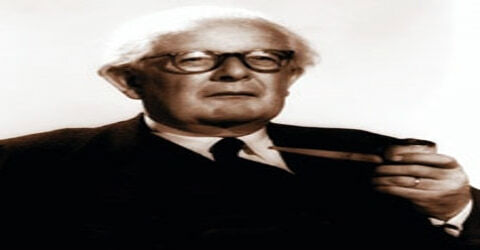 In 1979 Jean Piaget was awarded the Balzan Prize for Social and Political Sciences. Piaget was presented honorary degrees from prestigious universities like Harvard, Manchester, Cambridge and many others for his contribution to developmental psychology. Jean Piaget died in 1980 and was buried with his family in an unmarked grave in the Cimetière des Rois (Cemetery of Kings) in Geneva. This was as per his request. Piaget was one of the most influential development psychologists of the 20th century who was best known for propounding the theory of cognitive development. He influenced the works of future generations of eminent psychologists studying not just human behavior, but also the behavior of non-human species like primates. Jean Piaget believed in two basic principles relating to moral education: that children develop moral ideas in stages and that children create their conceptions of the world. According to Piaget, “the child is someone who constructs his own moral world view, who forms ideas about right and wrong, and fair and unfair, that is not the direct product of adult teaching and that are often maintained in the face of adult wishes to the contrary”. Piaget believed that children made moral judgments based on their own observations of the world.